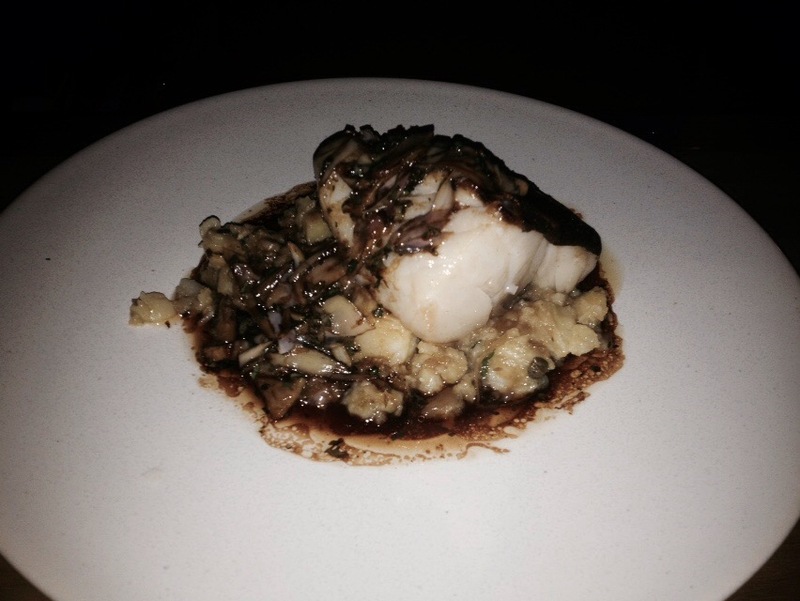 Last week I was one of the lucky few who got to go to the Heddon Street Kitchen soft opening. I took my mother, my Aunty and by bestest friend in the whole wide world to experience the wonder that is a Gordon Ramsay restaurant. It was a delightful evening of delicious cocktails, good company and extremely good food. The fried rock oysters were not what I expected but the perfect way to ease a first timer into trying oysters. It kind of defeated the point of having them in the shell but it was wonderfully presented and they were really quite yummy. 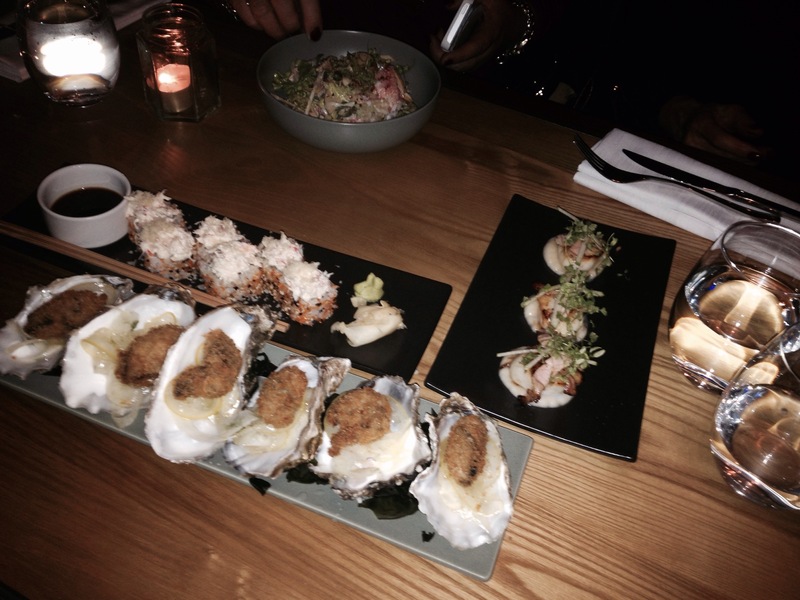 The Maki rolls were absolutely unbelievable and would be the one dish I’d recommend above any others on the menu. I was kicking myself for not ordering them to myself and would go back in a flash to have them again. The crab and apple salad was nice but quite poorly presented and the scallops were beautifully presented but slightly average. 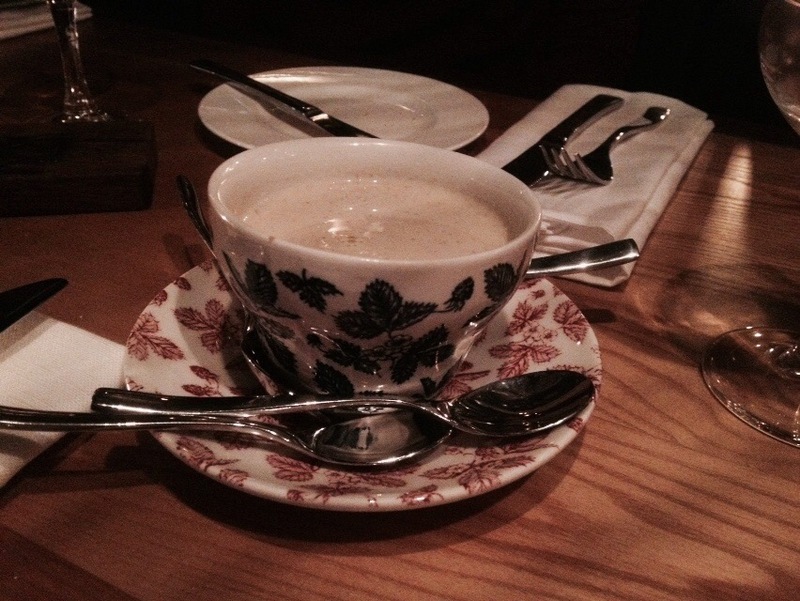 The artichoke soup was served in a beautiful China tea cup and even though at first I wasn’t convinced, I basically managed to finish the whole thing. For mains Jess and I both went for the short rib burger because we expected it would be the best burger we’ve ever had; unfortunately I wouldn’t exactly give it that title but it was close. 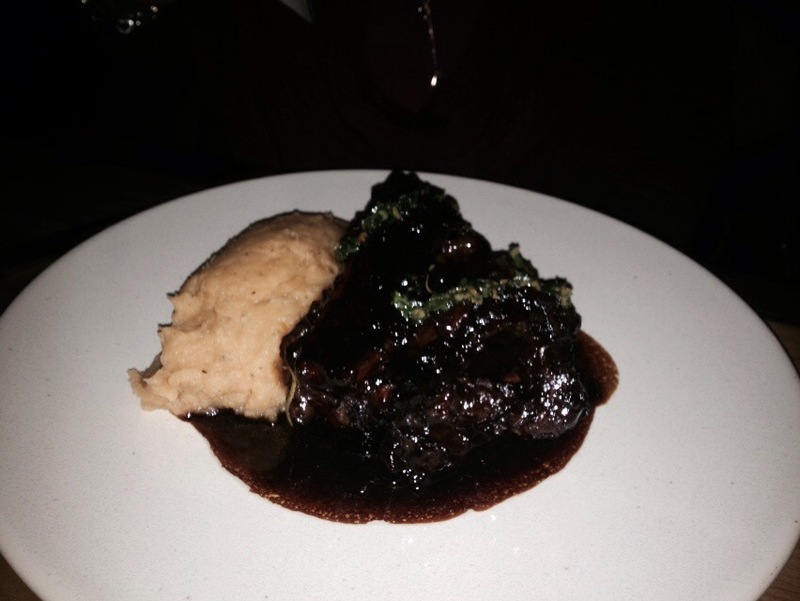 My aunty had the red wine braised short ribs with swede mash and gemolata which was yummy but a little bit too rich and sweet for me. On recommendation of pretty much all the staff there, my mum went for the roasted cod with crushed potatoes, artichoke, salted capers, red wine and lemon sauce. 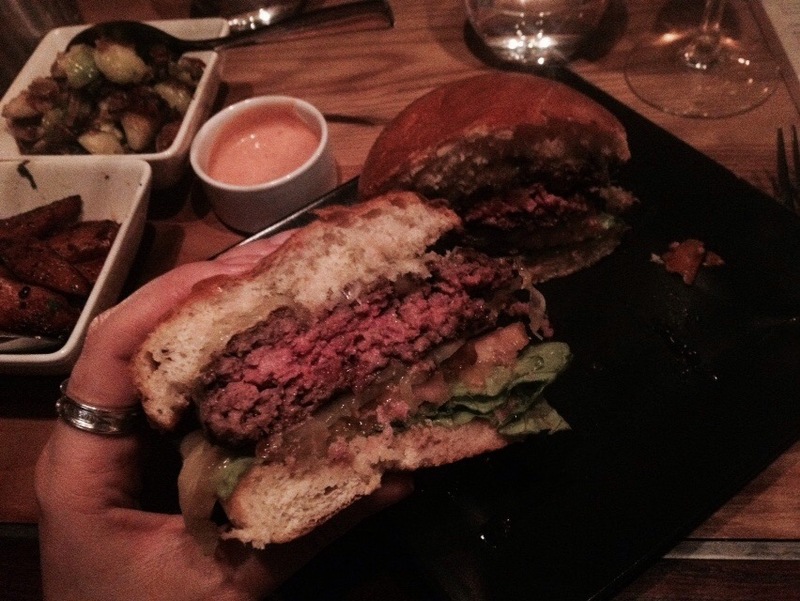 It wasn’t my kind of thing – seemed like more of a healthy option but she loved it. 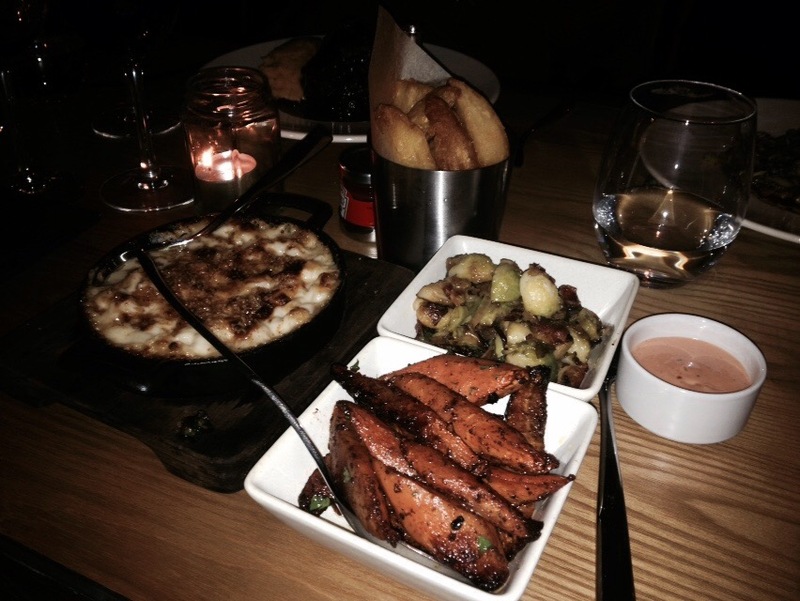 The chips were absolutely sensational, the Mac ‘n’ cheese was pretty much top dollar and although the bacony brussel sprouts and spiced honey carrots weren’t exactly my favourite thing they were still very good. 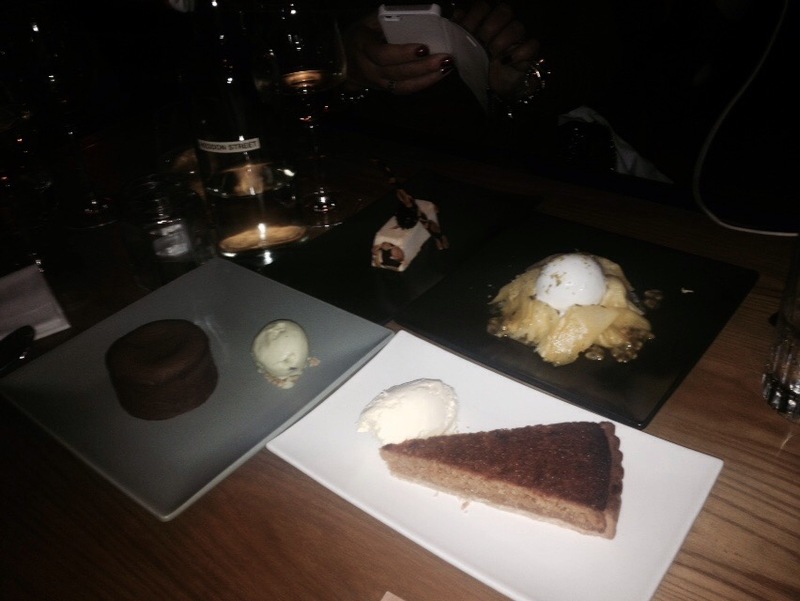 For dessert we shared the peanut butter parfait, treacle tart, pineapple carpaccio and the chocolate pudding. 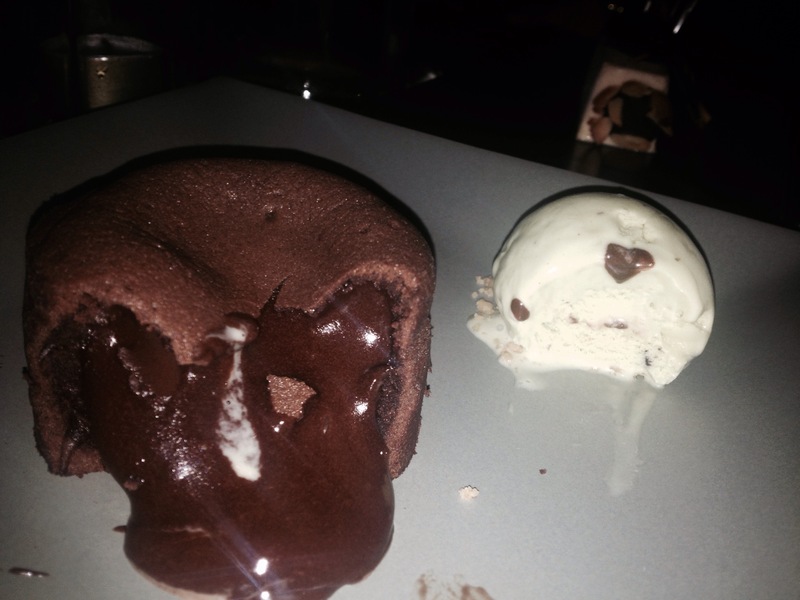 Chocolate desserts never normally float my boat but this was the without a doubt the winner for me. Atmosphere and decor were on point and the food was really good. Although I haven’t given it the most sparkling review yet that’s not to say it wasn’t still amazing. Well worth a try if you want to treat yourself and definitely have the maki rolls, mac ‘n’ cheese and chocolate pudding because all three dishes absolutely smashed it!